Spacenus pitched at the Future Food Forum 2018 in Berlin! 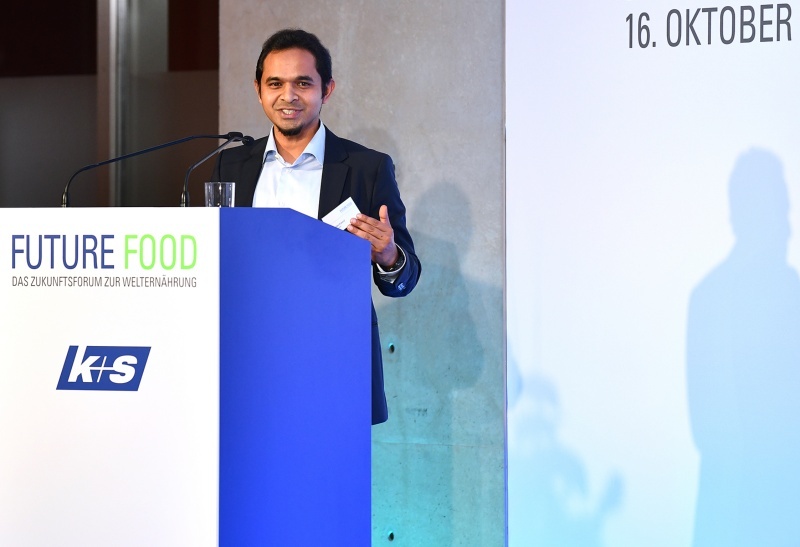 Spacenus attended the Future Food Forum at the AXICA Congress and Convention Centre in Berlin. This event was hosted by K+S Kali GmbH and Handelsblatt for the third time. All relevant international experts and masterminds, stakeholders from politics, science and NGOs were invited. Main purpose was to discuss ideas and sustainable strategies for securing world food production in the future. More information about the Future Food Forum, you find here. Riazuddin Kawsar (CEO) gave a pitch about our innovation Plant Nutrient Detection (PND) as part of the startup and business slams. Further startups like Akorion Ltd., desertfoods and MINT Engineering GmbH talked also about their company achievements and goals. To disrupt traditional methods, Spacenus built a tool to identify and quantify the current nutrient status of plants using just a smartphone photo of a plant. Farmers can simply take a picture of a plant leaf and receive the results within seconds. No need of big investments like nutrient sensors or day long chemical analysis. More information here. After every startup finished their presentation a panel discussion followed. Main topic was the importance of securing world food production and how these companies can put their impact to it. Dominique Macri summarized the main findings and performed them in a poetry slam. You can find the nice wrap up about the whole event here. Thanks to K+S Karli AG and Handelsblatt for having us at the Food Future Forum 2018. For Spacenus it was a great honor and very meaningful being part of this event! Older PostSpacenus was visiting the Intergeo 2018 in Frankfurt!